The biomass boiler has helped us to make huge savings compared to oil almost immediately. We expect these savings to increase even more when we start to chip our own wood fuel supply! The Great Barn is a listed 15th Century barn which is part of a rural estate in Devon also including a manor house and 2 cottages. 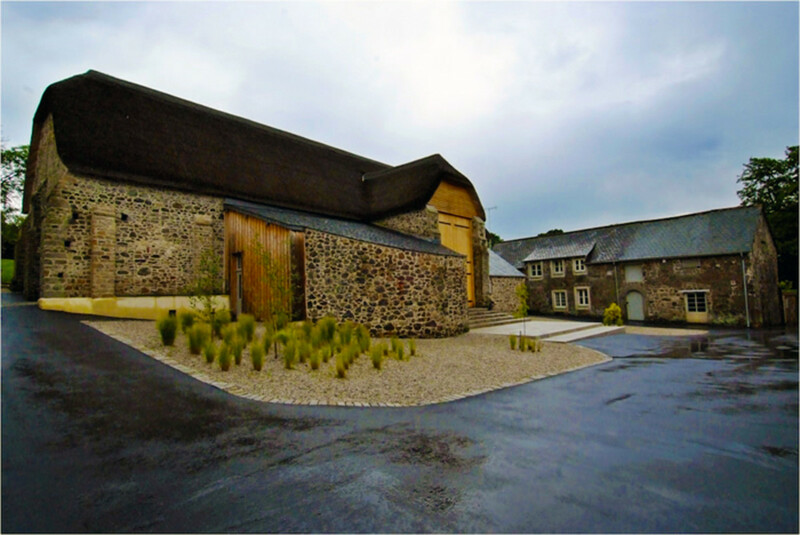 The barn was extensively renovated in 2004 and the driver for the project was to reduce heating costs and CO² emissions by switching from oil to locally sourced biomass. As one of the South West’s premier wedding venues, a primary requirement was reliability. The two existing oil boilers needed to be replaced with a single biomass boiler, providing heating and hot water to 4 separate buildings. Treco was tasked with designing and installing a biomass system, working with the heating engineer who designed and installed the existing system. Treco supplied and installed a single 100kW Guntamatic Powerchip biomass boiler feeding a district heating scheme. The boiler and fuel store were installed in a purpose-built boiler house with all of the buildings linked using insulated underground pipe. 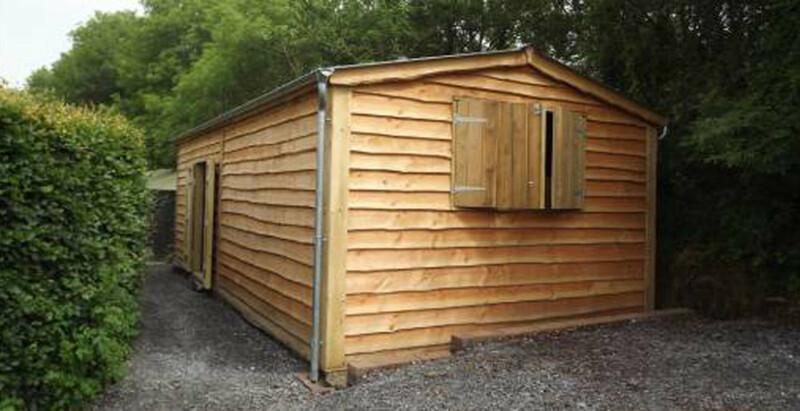 All fuel is sourced from the owner’s woodland, to be seasoned on site and chipped directly into the fuel store. More details on this specific biomass boiler used on this installation can be found on the Guntamatic Powerchip page, with further details of our entire range available through the biomass boilers page. The client built the boiler house and wood chip store. Treco installed and commissioned the biomass boiler, working with the local heating engineer to connect to the current system. A top of the range 100kW Guntamatic Powerchip biomass boiler (with a fully automated wood chip fuel delivery system). 5m agitator allowing 75m³ of fuel storage and ensuring less than 3 fills a year. High efficiency, low energy modulating main system pump. 160m of twin underground pre insulated pipe. 5 x class 2 RHI eligible ultrasonic heat meters complete with certification. Full assistance with RHI application including schematic drawings. Commissioning, programming and end user training. As well as fuel cost savings of 80%, the installation is now accredited into the Renewable Heat Incentive and the client is now receiving RHI payments. The RHI payments and the fuel cost saving ensure that the project is sustainable and financially viable.